Playware Studios Pte Ltd signed a Global Strategic Partnership with Malvern International PLC (MLVN). 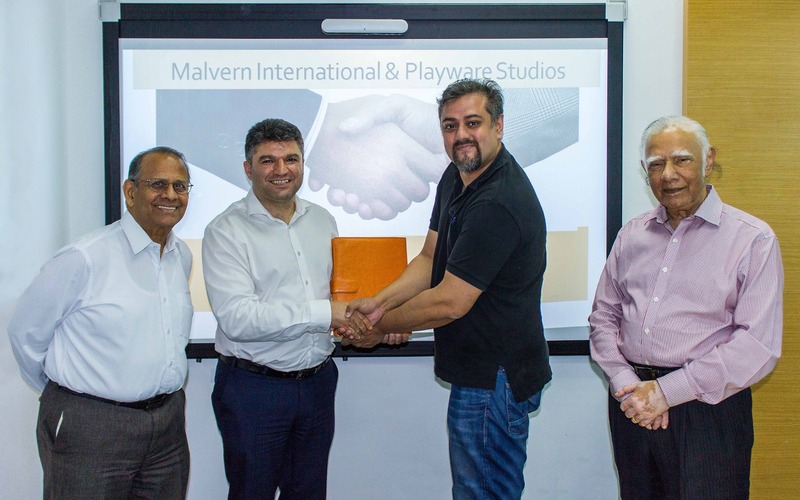 Malvern International’s Global Deputy CEO Dr. Sam Malafeh and Playware’s Creative Director Mr. Siddharth Jain signed the agreement on behalf of their respective organisations. Under this partnership Malvern will offer Playware’s proprietary 3DHive.mobi platform to its global corporate and institutional customers as well as offer jointly developed specialised technology and interactive media courses at its campuses in Singapore, UK, Cyprus, Oman and Malaysia. The partnership will also see the two organisations jointly develop new technology platforms and mobile and online learning content.